The quilting on Sunset is half way done. It got harder and harder to keep the lines straight as I got to the bottom edge so I left the last bit to probably just trim off. This quilt is the biggest so far in the Cycles series, about 45" x 48". The weight of the quilt from all the threads together with it's not yet washed stiffness makes it pull the fabric and add too much wobble and bump to the lines. I know, it is hard to define the right amount of wobble, but it seems I have an idea of what I want. Oh, and we are into the long dark winter here, so sorry this is a picture with a flash taken late in the dark, cold night. 1. Do you get tired of seeing these progress shots of the same old quilt, post after post? Every time I put one on instagram, people are so supportive and nice but I am wondering if they are tired of the same stuff too. It is a problem when you are working on a slow project, there is little new to share. Do you want to see her as I continue to quilt or should I shut up already till she is done? 2. Would you make a tutorial for Q4 of the Finish - A - Long? I need a lot more tutorials that will run on my blog from January 2 - 7, 2014. You can finish it well before then and post it into my blog nice and early so it does not become a holiday burden. These tutorials are fun for everyone and a chance for your work to get a bit of different exposure here on my blog. It needs to be a new tutorial and you need to not repost it for 30 days. Let me know if you would be interested and have an idea for me to consider. By the way, I keep seeing FAL finishes all about blogland. How are you doing with your Q4 plan? 3. Have you entered my layer cake giveaway, sponsored by the Fat Quarter Shop? If not, you still can, it closes tonight. So go here to enter. And do you like giveaways on my blog, and would you like more or less or are we good? 4. 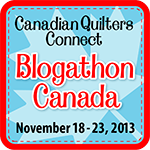 Have you been meeting the Canadian bloggers featured in Sew Sisters Blogathon Canada? If not, their master post is here and you can visit the province bloggers who each have different links to more bloggers, a great way to meet some of us Canadians. Also do read the Sew Sisters blog this week as they have a give away every day. And if you are new here from the Blogathon, welcome and I hope you might come back to visit again. Thank you for your answers, and I think this qualifies as random enough to link up with Really Random Thursday at Live a Colorful Life. How many spools of thread have you used up so far? 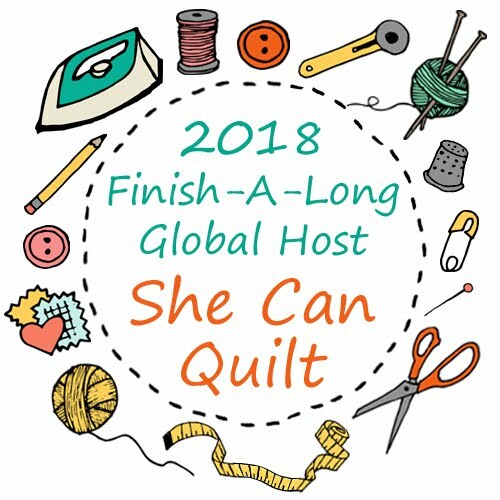 :) I read over on Leah Day's blog this week that she doesn't quilt right up to the edge so it can be trimmed so you're in good company. I always worry that I bore people when working on a long project (the Fryed Pixels one for example, and Wallander) too, but I don't think I've seen too many pictures of yours yet! 1. I love process and I love seeing your projects every step of the way! 2. Not sure I can do another tutorial but if so I'll holler. I have 3 of 4 projects done on my FAL list. Still hoping to get #4 done. I like seeing bits of progress. Honestly, it gives me hope when I'm having a project that feels like it's just not moving fast enough...and it's kind of magical to be given the chance to see an actual process. I love the progress shots too! 1. I like seeing the progress. keep it up, it looks amazing! 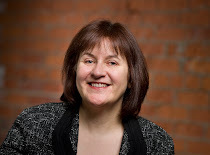 2. no blog, but I like to see what others do! 3. Yes, and who doesn't like a giveaway?? 4. Yes, and since we don't get up there often to see family, it's nice to visit some Canadians from afar! I can not believe that anyone is getting tired. There are so many different things coming up during the process so I am glad to hear about some. I was never thinking about wobbles and how to handle them so just go on telling and giving hints. I am only doing a Christmas table runner the next weeks paper pieced ... hope you can find lots of volunteers! I've wondered about showing all the bits of progress too, but I think I prefer it personally. I find it discouraging to continually read blogs where you read that they started a project and then overnight it's all totally done, no struggles and it looks perfect. 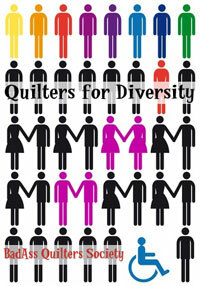 :) Your quilt is really changing right in front of our eyes--love that! I like to see the progress, and often wonder if I should do more of that. Hrm... I'll see if I can think up a new tutorial topic. I could maybe do one of my color series posts if that's interesting at all? I think we all worry about showing too many process shots, but I still don't think it's a bad idea to share about the journey. I don't always show a lot on mine right now just because I either am doing a project in one sitting or can't show it because it's for the book (grrr...). Your latest Cycles quilt is amazing -- love the color scheme! Never tire of the slow project shots! No can do on a tute, sorry. Depends if I win or not! I actually had a great idea for a tutorial! And then I forgot it. If I remember, I'll let you know. 1. I love seeing various stages of quilting in general and I love your progress photos of Sunset in particular :) Please keep them coming. 2. I haven't been able to join FAL for Q4 but I'm looking forward to seeing some lovely finishes the participants post. It's been 2 years since I planned writing a tutorial for a pouch I made (http://quiltmaybe.blogspot.com/2011/10/crazy.html) so if you think it would be OK for FAL, I could try to finally do it. I enjoy the progress reports. I think it probably helps a lot of people. I'm not on Instagram - I only see what's on blogs so it's never too much for me, LOL!! Regarding process shots, that's the same question I often ask myself. But I love seeing process shots of everyone's work so the answer must be....keep sharing, I love seeing the process. The quilting is exquisite....I love all the colour changes!! 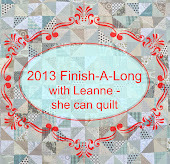 I'm a big fan of the blog posts about the process posts about quilt projects. It is so interesting & informative to see a project in detail from beginning to end. 1- I don't mind to see the progress but sometimes struggle with commenting. It's actually quite good to see how much time the whole process takes. 2-if you interested I can make a tut for leather embellishments and zipper pulls. 3- everyone likes giveaways but you can set a new trend and do random giveaways to those than comment on regular basis. giveaways brings a lot of traffic but please don't become one of those known for giveaways only. Yes, yes, yes! Pls keep posting as you go! It is intriguing and I love seeing how quilts transform. 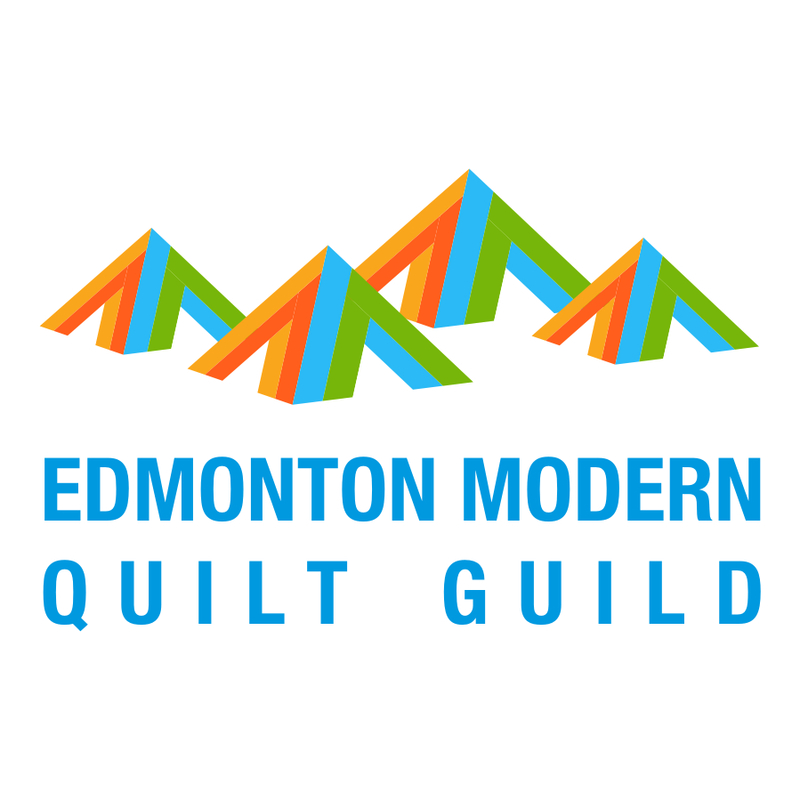 And new quilters get an idea how quilts progress. Thanks! Ah, I experienced the edge wibble on mine, but it wasn't too bad, I think I probably only had to trim off about 1/4" on each side in the end. What's been so fun watching with Cycles are all those work-in-progress posts. Seeing how much the quilting has the power to completely transform the quilt top has been a lot of fun. I like these quilts more each time I see them and the character grows so much from post to post. I find I feel a little leery about posting too many pictures of the same WIP myself, but if there's enough variety in the post - whether it's progress or the same block but lots of different fabrics - I think it makes sense to post multiple entries on the same project. I enjoy seeing the progress. I'm working on a tedious quilting project and your progress inspires me. Also, I like seeing the work that goes into a quilt instead of seeing only a picture days later of a finished quilt.